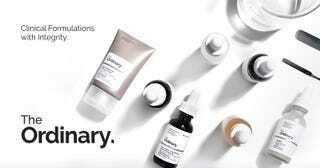 A very helpful GT’er recommended I try out The Ordinary products, I think they were the Niacinamide and maybe a Vitamin C, to help with hyperpigmentation and redness. I’m curious if any of you peeps have tried any products from the line? I’ve read so many Reddit threads with lots of positive reviews. Generally, their products seems really well received and you really can’t beat those prices to try out some quality skin care products.